Professional or DIY use. Single motion stripping of wires insulated and non-insulated terminals. Perfect for stripping any wire within It's range, even the most delicate one's like telephone and network cabling. 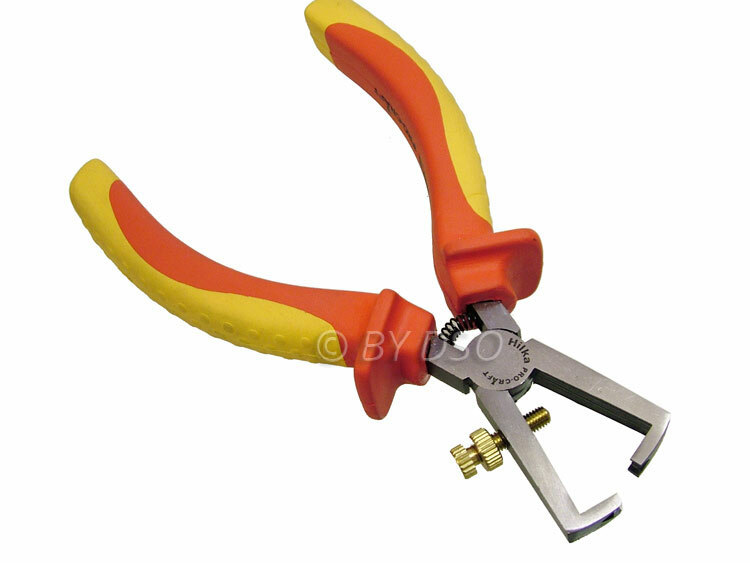 Chrome Vanadium steel jaws hardened and tempered, with insulated rubber non slip handles which are protected up to 1000V. Adjustment screw with locking screw to hold the wire stripper in place at the width you need for different diameter wires.